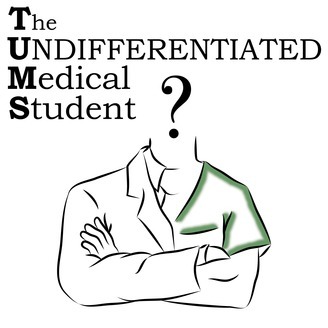 The TUMS podcast is about helping medical students to choose a medical specialty and plan a career in medicine. The list of career options available to medical students is long, but the time to explore them all is short. Moreover, mentorship in medical school is lacking, and many medical students tackle the task of career planning alone, most struggling and almost all clutching to the hope that 3rd year clinical rotations will definitively resolve their remaining uncertainties about how they want to specialize. However, having been distracted by the relentless pace of their pre-clinical curricula and the specter of Step 1, 3rd year medical students are eventually confronted with the reality that there are simply too many specialties to explore in one year and that they may not even get to finish their clinical rotations before important decisions about their careers need to be made (e.g., the planning of acting internships) if they are to be competitive applicants. Thus, mentorless and clinically unexposed, many medical students are forced to make wholly uninformed decisions about their futures. By interviewing at least one physician from each of the 120+ specialties listed on the AAMC's Careers in Medicine website 1) about their specialty, 2) how they decided this specialty was right for them, and 3) for advice about long-term career planning irrespective of the specialty they went into, this podcast aims to enumerate the details of every specialty and provide virtual mentorship on how best to go about moving past being an undifferentiated medical student. See below for time stamps. 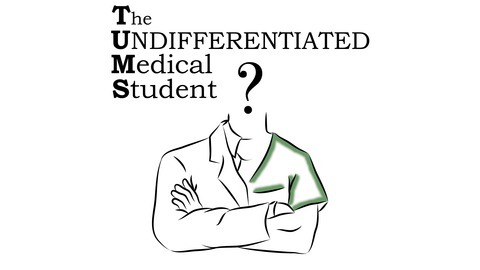 This episode is sponsored by OnlineMedEd! Use this link to sign up for a free account. Then come back and use this link to get $80 off their annual premium subscription! Check out the TUMS Resources page for a complete list of book recommendations made by guests on this show (as well as other goodies). If you would like to support the show, use the TUMS Amazon link to make all your normal Amazon purchases! You get all your things in usual 2 days, and TUMS gets a little sumin' sumin' at no extra cost to you. Dr. Silverman is an academic hospitalist at the Zuckerberg San Francisco General Hospital. Dr. Silverman completed her undergraduate degree at Brown University in 2009 where she majored in History of Art and Architecture, briefly flirting with a career in the art world before heading down the pre-med path. She then completed her medical degree at Johns Hopkins University in 2014, followed by her residency in internal medicine residency at the University of California, San Francisco (UCSF) in 2017. In addition to practicing hospitalist medicine, Dr. Silverman is the host and creator of The Nocturists, a live medical storytelling event and podcast for physicians and other healthcare providers. You can think of it as medicine’s version of the Moth. She is also the author of a series of prose poems about her experiences as a medical resident, many of which are published in the The Examined Life Journal of the University of Iowa Carver College of Medicine. Her writing is animated by a deep-seated curiosity about science, human nature, and what it means to live and die well. Please enjoy with Dr. Emily Silverman!